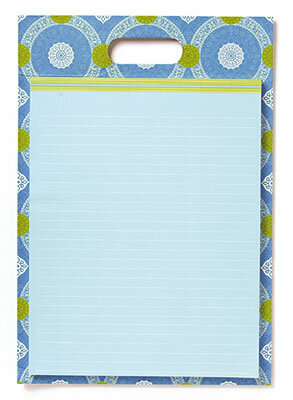 Easy and stylish way to write on the run. 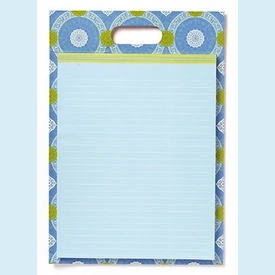 Blue pattern writing pad attached to a coordinating clipboard. 50 sheets. NOTE: Only 4 left! SIZE DIMENSIONS: 9.5" x 13.75"